There is a memorable test that helps you identify an unknown subject or object, ”If it looks like a duck, swims like a duck, and quacks like a duck, then it probably is a duck.” Therefore, if it looks like Dead Trigger, feels like Dead Trigger, and sounds like Dead Trigger, then it probably is Dead Trigger. 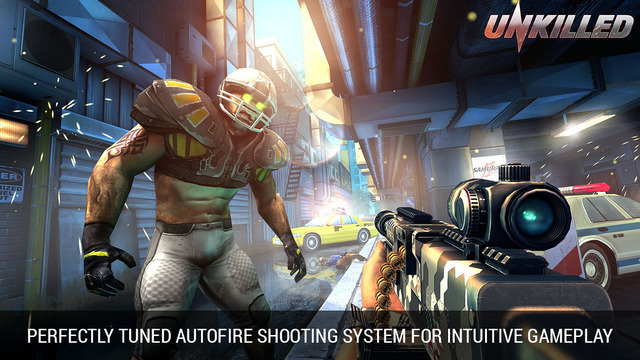 From the studio that released the Dead Trigger franchise comes a twin title labeled, Unkilled. Had we not have seen the peculiar new name on this game, we would have mistook it for a Dead Trigger sequel. It is interesting why Madfinger Games chose to stray from the old name because simply this game is not different enough to be a new title but is worthy of being a Dead Trigger 2 sequel. However, lets put the debate aside and talk about what this upcoming game actually brings to the table. 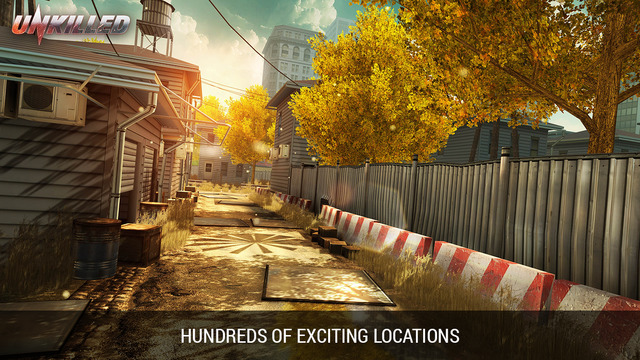 For all intents and purposes, Unkilled is a thrilling first person shooter set in a world that is on the brink of a zombie apocalypse. There are a few features that differentiate Unkilled from Dead Trigger but not enough distinctions to transform it into a whole new experience. Don’t get us wrong, any game being similar to Dead Trigger is a good thing. First off, the game was developed with Unity 5, the latest and ”Best Engine” award winning development platform. So you will see the vibrant and ravishing graphics that were in the previous Dead Trigger installments but with minor improvements and additional special effects. The developers claim that this title will actually have a rich story to the game which lacked in their previous zombie-themed games. Instead of taking place in the midst of the zombie apocalypse, the story takes place during the initial stages of the zombie horde’s expansion. In addition, you will be able to kick away, literally, zombies that are within close range. Also, an interesting element that caught our attention was that there were human AI’s that help you out in combating the flesh-eating monsters. This is something that was demonstrated on an extremely minor scale in Dead Trigger 2 but we hope to see what the developers have in store for us. But speaking of stores, this game will be a freemium and therefore you will be able to progress in the game through in-app purchases. 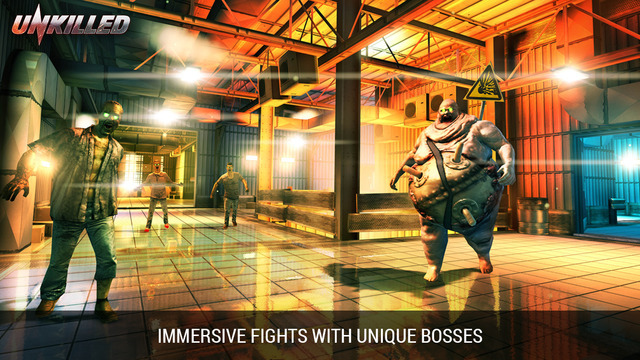 We can say, business is as usual, just like Dead Trigger & Dead Trigger 2. No complaints about the freemium model here since the game is gorgeous and the developers deserve a source of income, although we would have preferred a premium model applied. Of course, you will have new weapons, missions, environments, and zombies in this upcoming title. 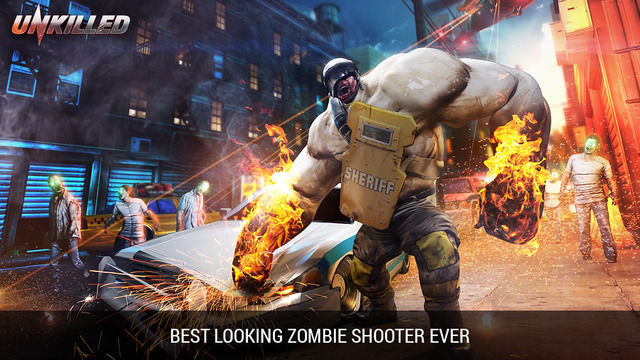 This time you will be in New York City fighting your way through hordes of the undead. The developers added that you will be able to play over 300 missions and hundreds of hours to spend on it. It will definitely be interesting because we are, in fact, big fans of zombie games. The game control system seemed very fluid and responsive as well, and surprisingly, the developers incorporated auto-shoot into the game which makes it easier for you to aim at your targets. Moreover, the graphics did impress us as Madfinger Games is no stranger to success in that department. We still remember when the first Dead Trigger was released, and boy those visuals were truly an evolutionary step towards console-like experience, back in the day. Finally, we are big fans of Madfinger Games because all of their titles set a benchmark in the mobile gaming world. 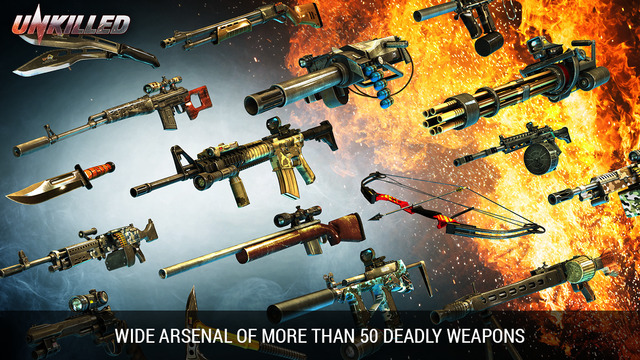 From Shadowgun to Dead Trigger, we are very grateful for such wonderful titles to be in the palm of our hands. Our criticism of Unkilled is only superficial and we have nothing against the content of the game. It looks beautiful and we cannot argue with that. But we will agree to disagree that this game should have been named Dead Trigger 3 instead of choosing a whole new title. 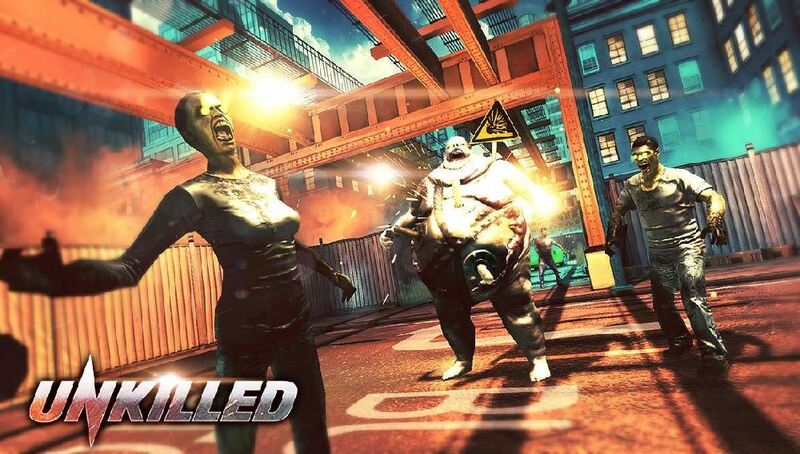 Unkilled is now officially out for IOS & Android so go grab it! We really hoped to see an online co-op mode but lets hope it comes in an update sometime in the future. Furthermore, if you are not familiar with the games that Madfinger Games released in the past, then go and check them out because they are free and worth playing. You can check the trailer and gameplay for this game below. Which FPS Title Will Be Leading The Genre In 2017?